I wrote this story for the Dallas Morning News. It was published on Aug. 13, 2003. Just inside the door is a mind-numbing assortment of photos and old books, covering the walls in dog-eared splendor. Asterio Sarmiento, a retired military officer, presides over the treasure trove at La Escalera bookstore, which sells such gems as Fidel and Religion and Fidel and the External Debt. Indeed, not a single park, avenue, stadium or building is named after Mr. Castro, who turns 77 on Wednesday. 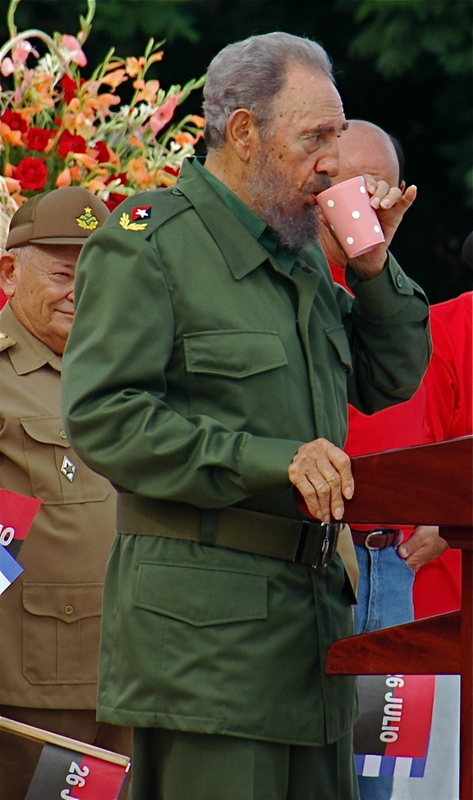 An occasional roadside billboard shows Mr. Castro’s likeness, and his photo hangs in many homes and offices, but there are no statues of the Cuban president in public places. 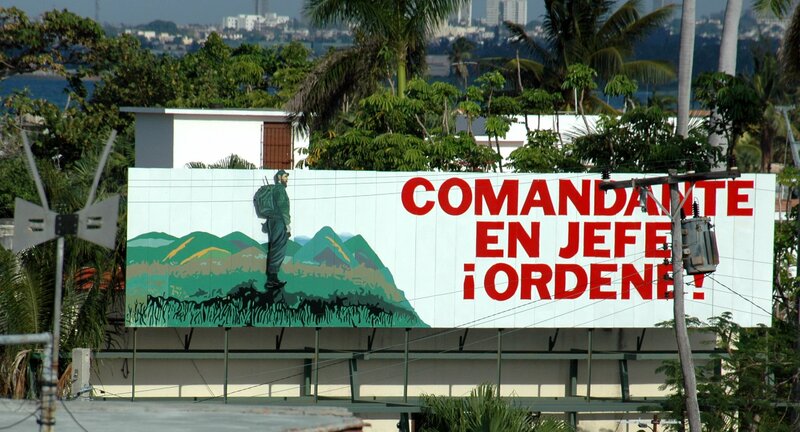 Cuba is unlike prewar Iraq, where huge murals glorified Saddam Hussein. Nor is it like the Dominican Republic under former dictator Rafael Trujillo, who had his country’s capital city and highest peak named after himself. And it’s certainly nothing like Turkmenistan, where months, days of the week and even such things as yogurt have been renamed in honor of President Saparmurat Niyazov. Mr. Castro needs none of that. He rules supreme. And analysts say he is easily the most powerful leader Cuba has ever had. The Cuban leader has played down his sweeping authority, saying his government is led by the people. Still, some say he’s not just a head of state, he is the state. Mr. Castro has made clear he doesn’t want a personality cult for himself. “The leaders of this country are human beings, not gods,” he told a crowd earlier this year. His government does deify dead heroes. Tens of thousands of portraits and busts of Jose Marti, a poet and one of Cuba’s founding fathers, can be found throughout the island. Argentine rebel Che Guevara is also revered, and a huge image of his face covers five stories of the Interior Ministry’s headquarters in Havana. Mr. Castro doesn’t need that because his government is already a commanding, all-pervading force, some say. “Fidel’s everywhere. He’s in charge of everything,” said Haydeé Rodríguez, 70, of Santiago, who says she’s a member of the political opposition. She fought with the rebels and supported the revolution in the 1950s and ’60s. But soon her views changed. Her brother, Antonio Rodríguez, 62, agreed. No doubt, the Cuban government has tremendous sway. And it begins exercising its influence early on, according to “The Children of Fidel Castro,” a report by Freedom Advocacy, an Arlington, Va., rights group. 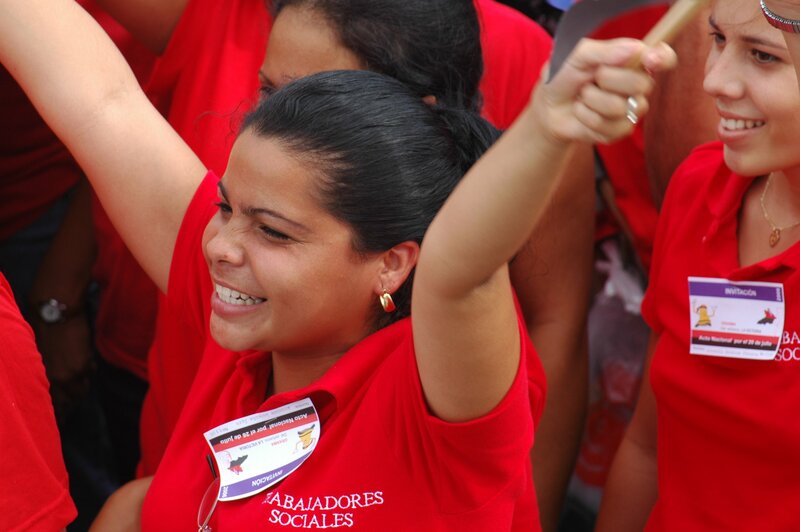 From childhood, there’s great peer pressure to support Mr. Castro and the Communist Party, many Cubans say. And those who do not show their loyalty are often shunned by their neighbors. Or they miss out on educational or career opportunities. Cubans usually talk about these things in hushed tones. Sometimes, their words say one thing and their facial expressions and body language say another. True feelings can be elusive. And when more than a few people start talking, discussions are often drowned out in a cascade of rhetoric praising Mr. Castro and condemning the United States. Some Cubans – considered reckless by the rest – don’t care anymore. When asked about their president, they throw up their hands. They let out a muffled sigh. Or a growl comes from the bottom of their throat and they say nothing more. Mr. Castro has ruled for 44 years and remains unchallenged. He has a string of titles: president, head of state, chief of the Communist Party. He’s a constant presence in state-run media, which dutifully records his countless appearances. His speeches are often rebroadcast on television and radio and later many are reproduced in Granma, the Communist Party newspaper. 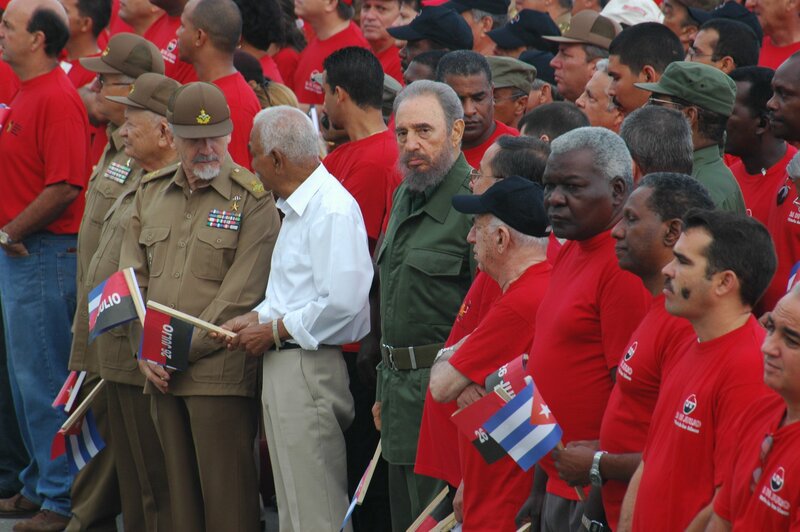 So Cubans know Fidel’s public life well. His private life is taboo and nothing is said in the media about his children or Dalia Soto del Valle, his wife of more than 30 years. Mr. Castro, the target of dozens of assassination plots over the years, has said he maintains his privacy because of security concerns. Mr. Castro is unique among world leaders, said Estela Bravo, a New York filmmaker who produced the documentary. He has intelligence, courage, stamina and unwavering confidence, she said. 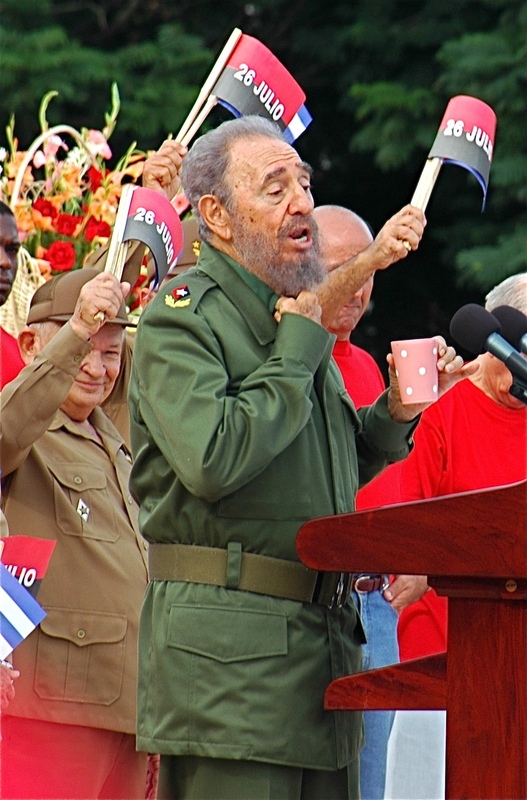 In past elections, Mr. Castro has routinely received 97 percent or 98 percent of the vote. Just how many people would vote for him if they weren’t pressured – or had other choices – is unclear. The survey was conducted by the U.S.-financed Cuba Transition Project at the Institute for Cuban and Cuban-American Studies at the University of Miami. Cuban officials dispute the results. Many Cubans worship Mr. Castro, and many, unquestionably, would die for him. Mr. Sarmiento said he became a believer at the age of 18 when he went into the hills to join Mr. Castro’s rebels. Now 65, he sells old books, including History Will Absolve Me, based on the speech Mr. Castro gave before his sentencing in 1953. “Already, history has absolved Fidel many times,” Mr. Sarmiento said. “He eliminated political corruption in Cuba. He fought for the unity of the people. And he made sure that neither the Russians nor the Americans took over.